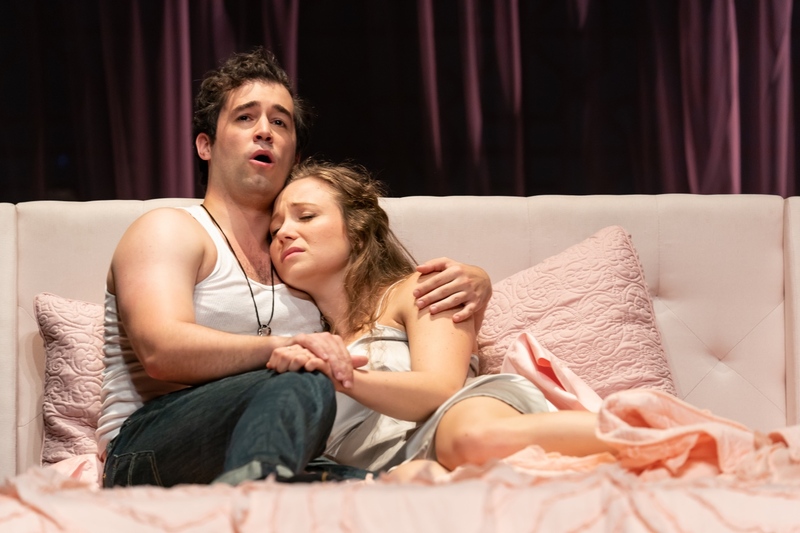 Alexander McKissick (Roméo) and Madison Leonard (Juliette) in Roméo et Juliette, Wolf Trap Opera, 2018. Photo: Scott Suchman. Here’s the thing: Shakespeare’s beloved tale of star-crossed lovers has been told and retold and adapted and interpreted so many times and in so many ways that often the best approach is to just let the story stand on its own. 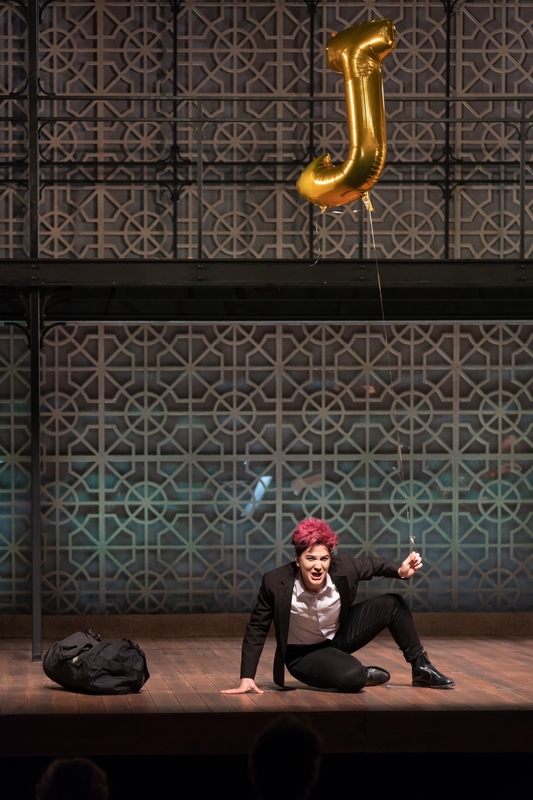 Director Louisa Muller did just that with her production of Roméo et Juliette at Wolf Trap Opera, and told the story, that so many of us know by heart, sincerely, earnestly, and simply. The contemporary setting didn’t feel like a gimmick but a way to make the characters that much more relatable, and the overall effect was that of a John Hughes movie. Muller’s approach gets teenagers and how they feel emotion so intensely that it can turn fatal in an instant. 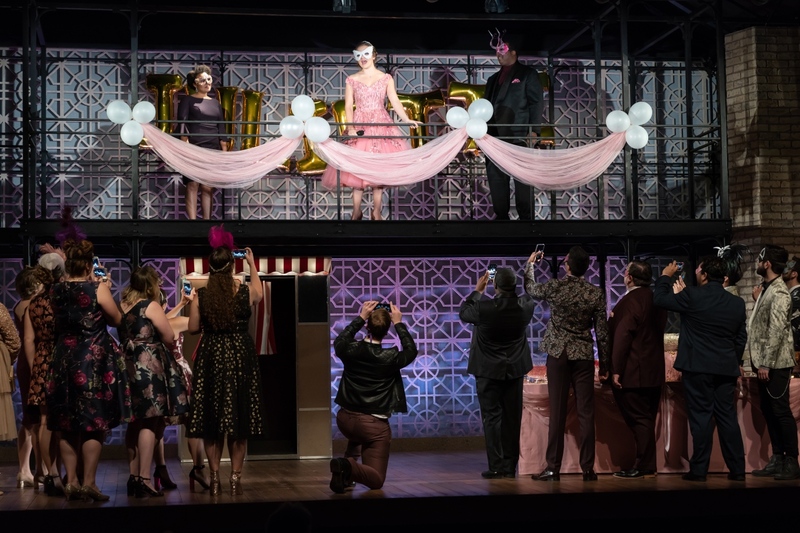 Under her direction, Madison Leonard as Juliette and Alexander McKissick as Roméo accessed that adolescent angst with ease and put the audience under a spell. Taylor Raven (Gertrude), Madison Leonard (Juliette) and Joshua Conyers (Lord Capulet) in Roméo et Juliette, Wolf Trap Opera, 2018. Photo: Scott Suchman. Leonard is appearing at Wolf Trap Opera this summer on the heels of her Met National Council Audition win and she sure sang like it. Her voice sparkled and sighed and soared, and never showed a hint of stress or strain. She sang the intense Poison Aria, which easily trips up the kinds of lighter sopranos who take on this role, like an honest-to-god star, without ever becoming heavy or harsh as the orchestra swelled around her. McKissick matched Leonard’s star turn with a full throated, masculine tenor, and boyish charm. His aria, “Ah! Lêve-toi, soleil!” left the audience breathless and his soaring declamations hinted at the Verdi and Puccini heros that surely await him. 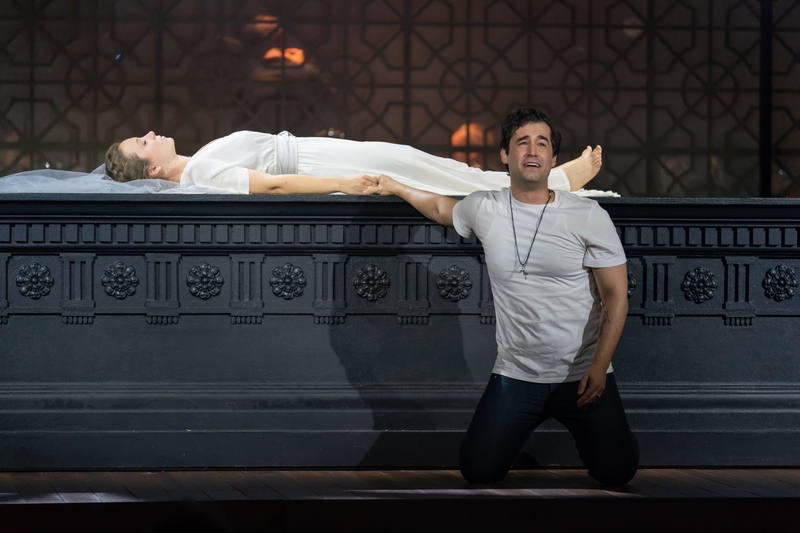 Madison Leonard (Juliette) and Alexander McKissick (Roméo) in Roméo et Juliette, Wolf Trap Opera, 2018. Photo: Scott Suchman. Leonard and McKissick carried this performance, but that’s not to say that the others who round out the cast don’t deserve a mention. In particular, bass Anthony Reed is warm and sympathetic as Frère Laurent, and mezzo Taylor Raven brings a strong presence to the role of Gertrude. Together they sang the wedding scene quartet skillfully and filled the hall, sounding like a full chorus. Mezzo Annie Rosen made for a charming, mischievous Stephano, with a steely voice. Thankfully, costume designer Amanda Seymour leaned into the character’s androgyny, giving Stephano a shock of pink hair, skinny jeans, and Doc Martens, and Stephano felt like a person I’d want to be friends with as he sang his aria antagonizing the Capulets and TP’ing their house. Anne Rosen (Stephano) in Roméo et Juliette, Wolf Trap Opera, 2018. Photo: Scott Suchman. The ensemble was exquisite, especially in the prologue and in the fight scene, owing to the fact that the cast is made up of the best young soloists in the country who have competed for a place in Wolf Trap’s prestigious young artist programs; every one of them is filled with enthusiasm for the art form - they’re each at the very top of their game, and it shows. 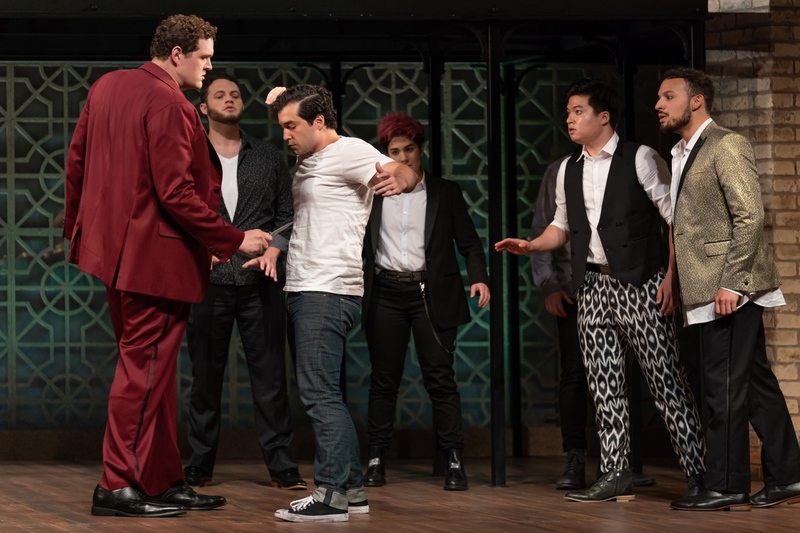 Trey Smagur (Tybalt), Thomas Glass (Mercutio), Alexander McKissick (Roméo), Annie Rosen (Stephano), Duke Kim and Cory McGee in Roméo et Juliette, Wolf Trap Opera, 2018. Photo: Scott Suchman. Conductor Eric Melear led the orchestra artfully and kept the tempos spritely, although in the small space the orchestra at times sounded downright Wagnerian but never overwhelmed the singers. Melear could perhaps have done more to keep the brass in check, as they often became overbearing in the compact theater. But, if, like me, you like your opera loud, Wolf Trap’s theater built in a historic barn is the ideal venue. 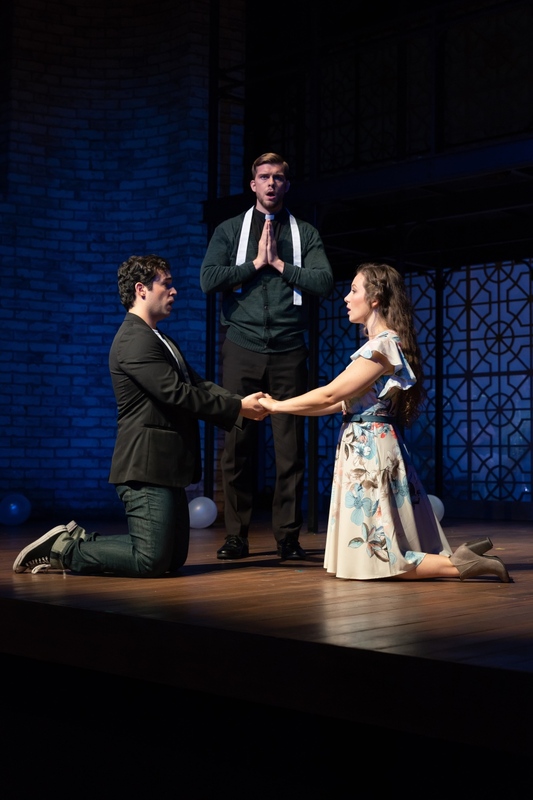 Alexander McKissick (Roméo), Anthony Reed (Frère Laurent) and Madison Leonard (Juliette) in Roméo et Juliette, Wolf Trap Opera, 2018. Photo: Scott Suchman. Indeed who could resist losing themselves in the “tragical romance” of Roméo et Juliette on a warm summer evening. With a performance this strong, you might as well just let go and let the star-crossed lovers carry you away. Wolf Trap Opera’s production of Roméo et Juliette runs through July 21. For details and tickets, click here. Nicole Lizée on the Mosaïque Project Don Giovanni in 2018: in search of a "concept"